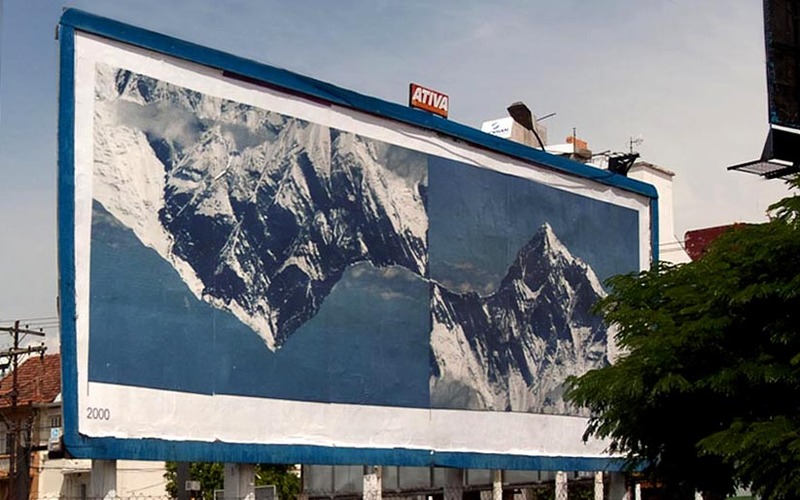 'Moving Mountains' consists of three billboards and an image which was implemented in the financial news section of three Brazilian newspapers, Zero Hora amongst others. 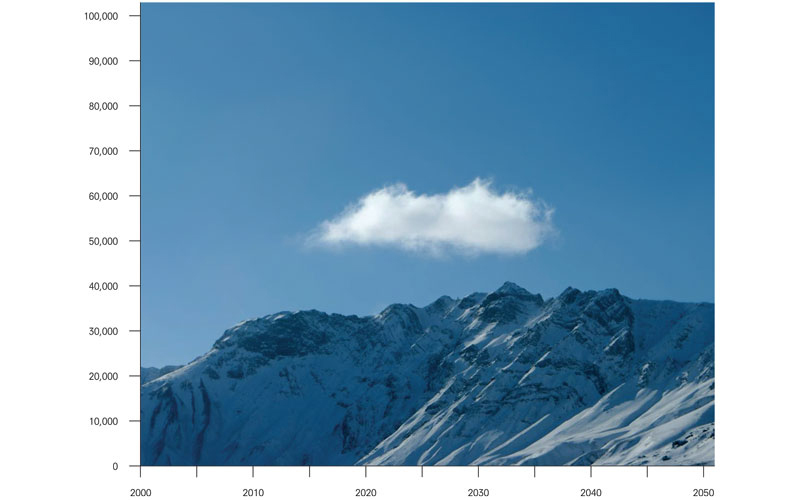 Moving Mountains relates to global change and forecasting. 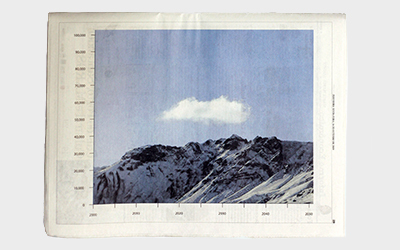 It refers amongst others to the economic statistics predicting the future for the coming 40 years of Brazil and a coalition of countries called BRIC. In economics, BRIC is an acronym that refers to the fast-growing developing economies of Brazil, Russia, India, and China. 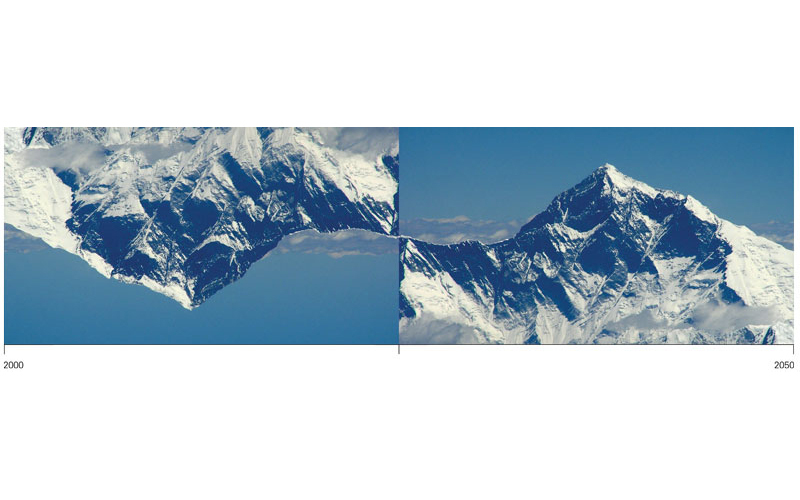 Many predictions foresee a change in the world order in which the 'global north' will change it's position towards the 'global south' and loose it's economic power.The collages are compiled with found images of the Mount Everest.